"Nobody can contradict the fact that we have seen the passing away of a giant of the 20th century," Quebec Premier Philippe Couillard says of the former Cuban president. 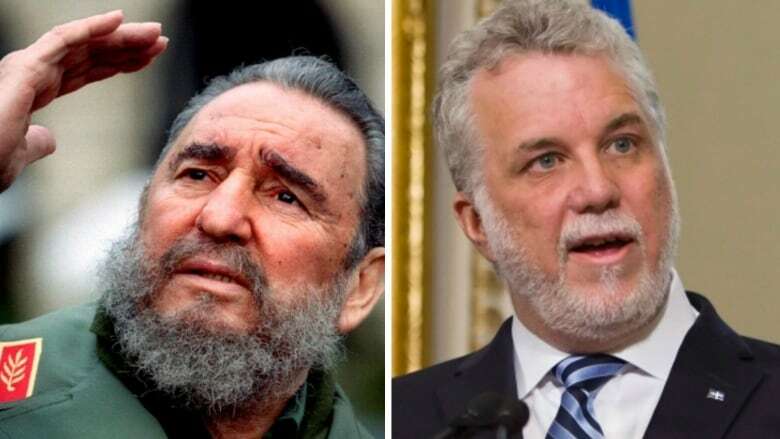 Quebec Premier Philippe Couillard is defending Prime Minister Justin Trudeau's controversial comments on the death of Fidel Castro, saying the Cuban leader was a "giant of the 20th century." When asked whether Trudeau's statement was "tone deaf," Couillard said no. He called the statement "well-balanced." "It was alluding to a reality that no one can contest," he told reporters in Madagascar, where both he and Trudeau are attending a summit of la Francophonie. "Fidel Castro was a giant of the 20th century. I think nobody can express any disagreement on this. As to his influence on his own country, the human rights questions, of course historians will have to look at this as time goes by, but again, nobody can contradict the fact that we have seen the passing away of a giant of the 20th century." He added that, Castro's "accomplishments will be in various tones of grey, some white, some black, but historians will have to decide this." The prime minister has been criticized for his written statement expressing "deep sorrow" following Castro's death. Trudeau remembered the late president as a "legendary revolutionary and orator," and said he was a good friend of his father's. He stood by his original statement in Madagascar on Sunday, but added that Castro was a dictator. "He certainly was a polarizing figure and there certainly were significant concerns around human rights. That's something that I'm open about and that I've highlighted. 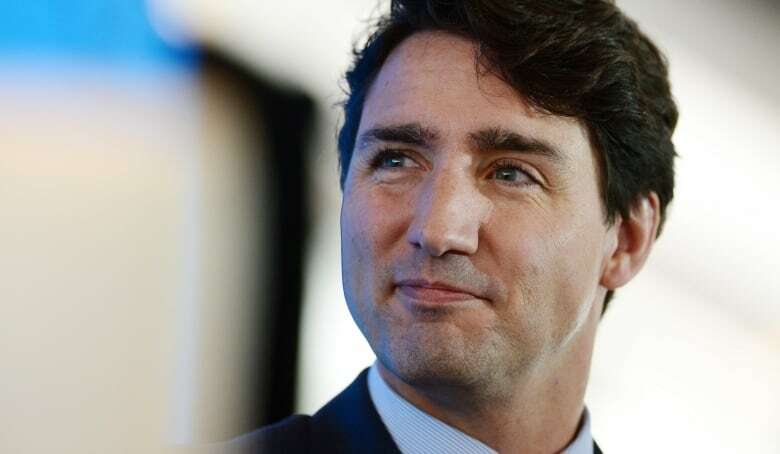 But on the passing of his death I expressed a statement that highlighted the deep connection between the people of Canada and the people of Cuba," he told a news conference. Opposition politicians were quick to denounce Trudeau's original statement. Conservative leadership hopeful Lisa Raitt wrote on Facebook that Trudeau should be ashamed of himself after his remarks. "With those words, Justin Trudeau has placed himself on the wrong side of history — against the millions of Cubans yearning for freedom. The Prime Minister should be ashamed of himself. He must retract this statement and apologize," she wrote. Lawmakers in the United States, including former Republican presidential hopefuls Ted Cruz and Marco Rubio, also slammed Trudeau. Castro was an extremely divisive figure, viewed by many as a revolutionary icon and by others as a totalitarian dictator. His system of one-man and one-party rule kept him in power for 49 years, the longest of any head of government in the world. Quebec has a long history of warm relations with Cuba. 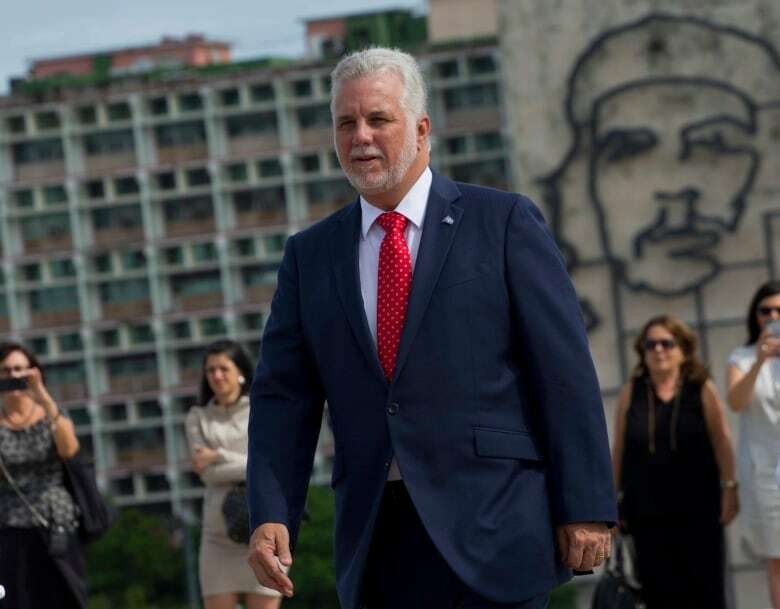 Earlier this year, Quebec announced plans to open a permanent office in Havana, and Couillard visited the country on a trade mission two months ago. On that trip, he met with Raul Castro, Castro's brother and the country's current president. "I was able to confirm that Cuban society, to which Fidel Castro contributed so much, is in the process of transforming and opening," Couillard said in his own statement on Saturday following Castro's death. Jean-Francois Lisée, head of the Opposition Parti Québécois, also called Castro a historic figure who "shaped the 20th century." 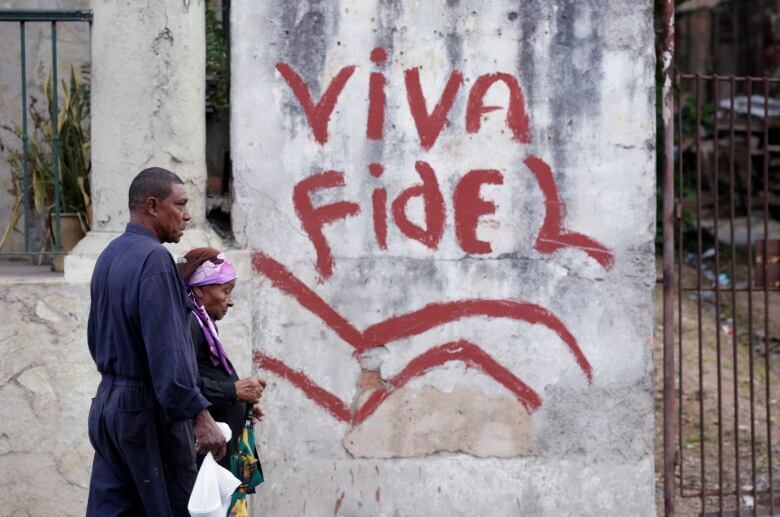 "In their fight against the dictator Fulgencio Batista, Fidel Castro and his companions, especially Ernesto Che Guevara, embodied, at the start, the hope of liberty and justice," Lisée said in a news release.